Ryan Frauhiger of Bluffton uses a chainsaw to carve his ice sculpture Friday outside of Davis Mercantile in Shipshewana. This is Frauhiger's second year participating in the Shipshewana Ice Festival sculpture contest. 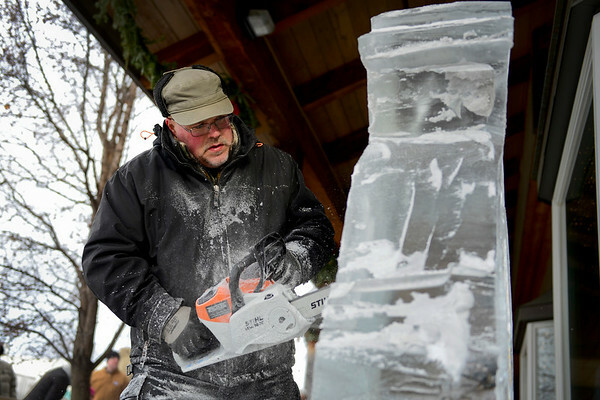 Though he usually carves wood sculptures, he said he enjoys the challenges of carving into ice.